You've gotta check out the House of Ippity!! Sarabeth is giving away a stamp set to celebrate New Years!! What an awesome prize!!!! Be sure to get over there and check them out so you can get your name in the drawing!!!!! be thrown in AND an additional winner!!! spotlighted right here on my blog! 2010 is bringing awesome opportunities and lots of fun stuff to Sew Many Cards and we want you to be a part of it! Sarabeth is looking for 2 Design Team Members and Guest Designers to create Layouts with Angela's incredible SMC Digi Images! Email Sarabeth at sarabethburke@hotmail.com with SMC Layout DT Call in the subject. 2-3 of your favorite Layouts-we want to see that style! a short twitter style note about YOU! Create layouts using any of the images we assign you. Participate in our monthly SMC release events, games, etc... This is usually the beginning of the month. Images and detailed instructions will be sent to you. Promoting SMC Layouts where ever it is allowed. Images to create your Layouts. 4 Images of your choice just because. Monthly RAK's for all of your hard work. Deadline for submissions: December 24th, that's next week, so hurry! Can't wait to see what you have in store for us!!!!! This months sponsor at Sew Many Cards is Doodle Beans Digital Stamps!! Randa over at Doodle Beans is awesome to deal with. 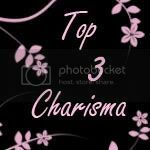 Her images are awesome and she also has some great freebies listed on post. When ordering you receive your images immediately after paying for your order!!! Doodle Beans Digital Stamps has a growing number of stamps for use in card making, crafts and scrapbooking. The images are unique and fun, and designer Randa Clay hopes you'll find them to be useful for all kinds of occasions and projects! And that's exactly what I did with an image from Doodle Beans. I used the tulip to make this All Occassion card. Be sure to watch for Sew Many Cards reopening as they'll be a great giveaway by Doodle Beans and Randa during our New Release Blog Hop!!! HEY!!! It's Challenge time again!!! This week over at SEW MANY CARDS we're doing a color challenge!!! And this is a special challenge because its our last challenge for the year until we reopen with a new Design Team and New Releases in January 2010!! Use any image but of course we would love to see you use a Sew Many Cards image, and what a great time to get them. Angela has an awesome sale going right now as I have detailed in the post below! 174 images for $25...WOW!!!!!! But hurry...the sale ends today! After today, they'll be available for $50 until the end of the year! Again all the details and links are in the post below this one! Ok I got sidetracked! lol Back to the challenge. Use any image on your project, using any colors on your digital image...BUT the rest of your project can only have RED...RED...RED!!! Please use Mr. Linky below to submit your entry or email me at jerisplace@cox.net and I'll be glad to submit it for you if you run into any problems!!!! Please have all entries in by midnight on Dec 21st. The winner of this weeks challenge will receive 3 FREE images from the Sew Many Cards store! Hope to see everyone joining!!!! This is also being submitted to the following blog challenges!! Sew Many Cards is doing a super sale for two days only!!!!!!!!!!! Click HERE to go to the store and get yours while they last!All images that have been released so far are included in a HUGE collection for only $25- but after tomorrow, the price will go up to $50 and will only be available until the end of the year. This collection has it all! Every image released in 2009 so far, as well as 7+ images that have not been released as of today, 12-14-09. Also included are the bonus packs that are not available for sale and quite a few other images never before seen. To top it off, this collection also includes the freebie Friday images you may have missed! That's 174 images for only $25!!!!!!!!!!!!!!!!!! The images in this collection are only available in .JPG format due to the size of the file. If you find an image that is not included in this collection, please email at info@sewmanycards.com and Angela will make it right. Links will expire shortly. You will need to request additional downloads after that time period. Please keep your email for reference. Also, because of the low price there is a limit on the number of downloads, please do not share your link with other people; direct them to the store so they can purchase their own collection. WOW! I can't believe how fast the time has flown!! It seems like just yesterday I was applying for a position on the Sew Many Cards DT and here it is, time to do it again! What a great experience it has been, but you can't have great experiences without awesome team members and a great owner!! I have gained some great friends and now it's time for you to have that chance as well!!!! We’ve had such a great time with our current design team, and are so thrilled that some will be staying. However, we’ve still got some empty spots to fill. We are seeking new members that are cheerful and sociable, passionate about their craft, and eager to promote the wide variety and fun images created at Sew Many Cards. We are looking for several members to complete the Sew Many Cards design team! We are about enjoying challenges to bring out your best creativity that will inspire and encourage others to join in, and (most important) it’s about having a great time with a group of great friends! 1. 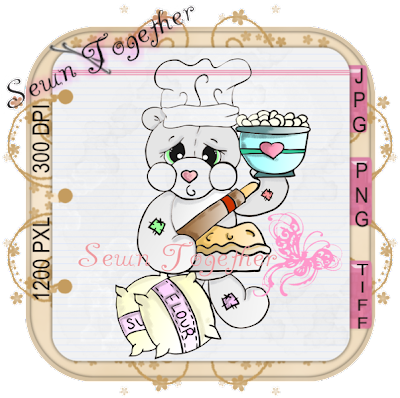 Free SEWN Together images. 2. 50% Store discount throughout your term (can also be used during sales). 3. A minimum of $10 in store credit for all pieces published in outside magazines. 5. Free Challenge stamps (stamps picked from DT wish list). 6. First view of new releases. 7. 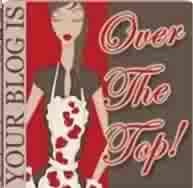 Your images posted in store gallery with link to your blogs, and posted on the Sew Many Cards blog. 8. Sew Many Cards Team Badge. 10. New Friends and tons of fun! The new term is for 6 months, starting January through June 2010. 1. Have an active blog or website. 2. Make a minimum of 1 card/craft project for each weekly (every Friday) SEWN Together Challenge. 3. Make a minimum of 1 card/craft project in 1 of our 2 events on our group each month. 4. 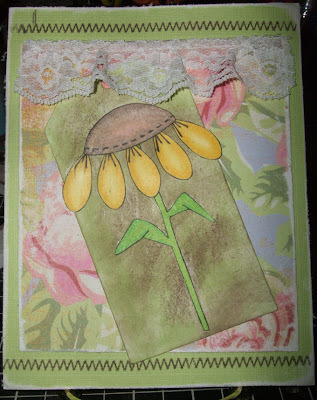 Enter at least 1 card/craft (made with a Sew Many Cards image) in a community challenge 1 times per month. 5. 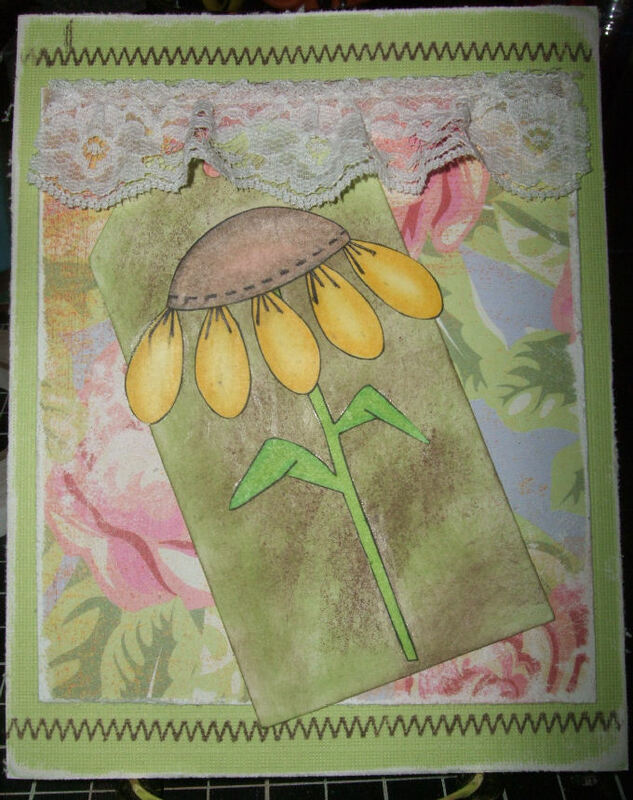 Post at least 1 card/craft (made with a Sew Many Cards image) a month in galleries such as SNR, SCS or PCP. 6. Along with posting your challenge project on your blog, include techniques, tips and recipe for the challenge project. 7. Be willing to post store sales, challenges, and special events, on your blog or website. 8. Display the Sew Many Cards store, and blog logo on your blog/website (logo codes provided). 9. List DT members, and the Sew Many Cards creator’s blogs (Blog roll codes provided). 10. 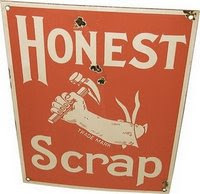 Make an honest effort to meet deadlines. 11. Visit all challenge participants blogs. 1. Attach photos of two cards/crafts of what you feel are your best creations. The New Design Team will be announced on our challenge blog, http://digital.sewmanycards.com/ on January 6, 2010. We ask that you be patient as we make our decision. We will notify you, via email, if you have been chosen. We thank you, and look forward to seeing your amazing creations! Yessss it's FREEBIE FRIDAY once again at Sew Many Cards!! This week Angela made the cutest Christmas Tree!!! 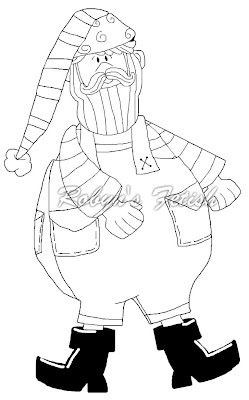 Of course yours will come uncolored! How do you get yours you ask?? Well let me tell ya...all you need to do is look right above, and sign up for the Sew Many Cards Newsletter!! Each Friday you'll receive your freebie in the newsletter along with important information, events and sometimes even special discount codes!! So what are you waiting for?? JOIN NOW!!!! Also be sure to check out Sew Many Cards for the awesome blog candy Angela is offering right now!!! YOU DO NOT WANT TO MISS IT!!!!! 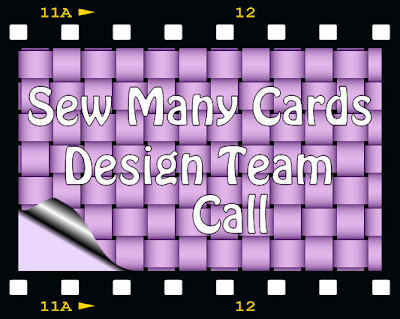 AND don't forget that Sew Many Cards is sending out a DESIGN TEAM CALL!! There's more information on my blog a few posts down!! If interested, please submit all the pertinent information!!! Thanks to everyone that joined last weeks challenge!! We appreciate each and every one of our participants!! Be sure to pass the word to all your friends to come and join us every Tuesday!!!! 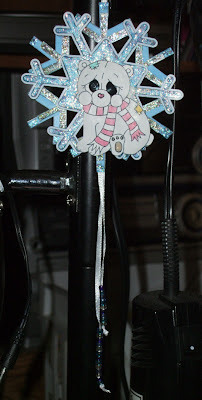 This week at Sew Many Cards, our challenge is a WINTER THEME challenge!! 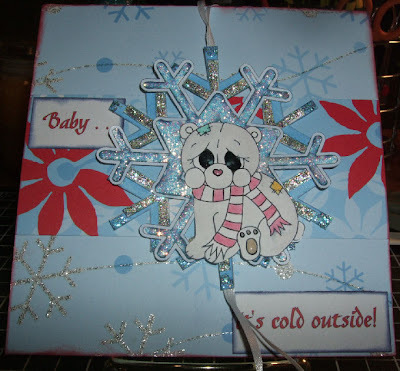 Make any project/card using a winter theme. We would love to see you use a Sew Many Cards image, but of course any images are welcome!! 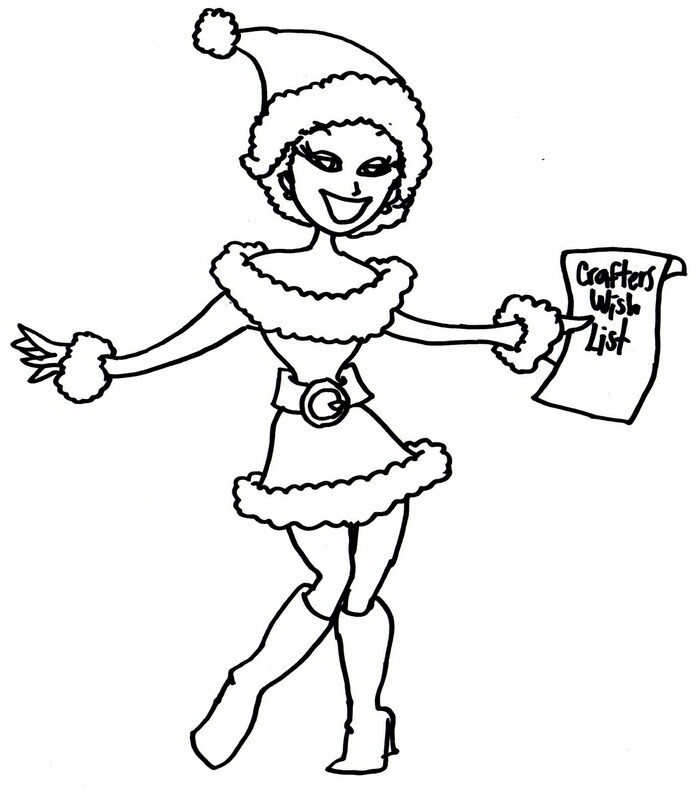 All entries need to be submitted by midnight on Dec. 14! The winner will receive 3 images of their choice from the Sew Many Cards Shop!!! Please use Mr. Linky to submit your entry, or email me at jerisplace@cox.net with your entry if you don't have a blog and would like to play along!!! 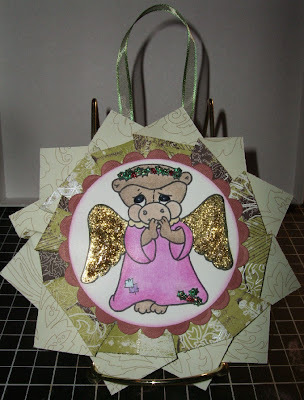 My project this week is a card with ornament. When they're through with the card, they can take the polar bear snowflake ornament off the front and use it as an ornament!! 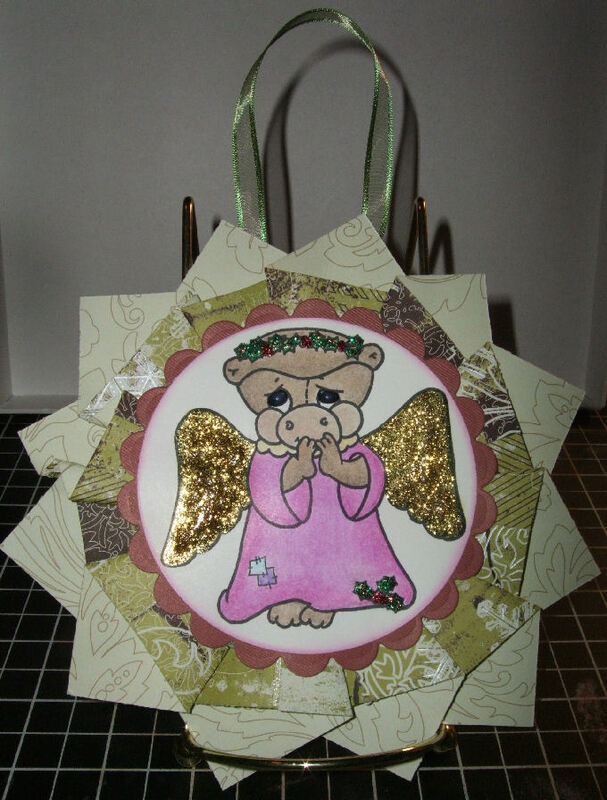 Stamptacular Sunday -- create a card or some other project that has LOTS and LOTS of bling, sparkle and shine! How you create such masterpiece is up to you…as long as it shines and incorporates stamping you’ve fulfilled the challenge! Incy Wincy Designs -- This weeks challenge for you is SNOWFLAKES!!!! 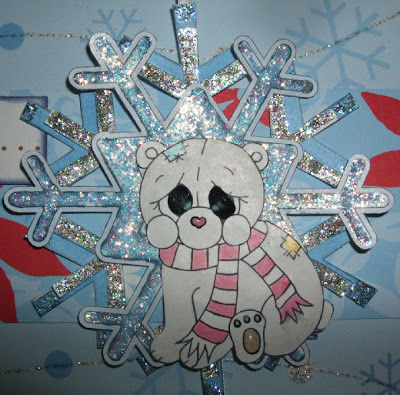 Make a card or project using SNOWFLAKES! 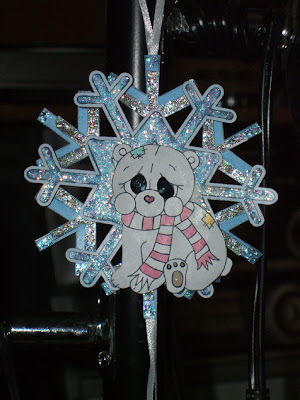 Kaboodle Blog -- Winter is fast approaching and we want you to create some projects using snowflakes. Digital Ink Co -- you will need to create any paper craft (using at least one Digital-Ink Co. stamp) and use a line or them of any Christmas song! Caardvarks -- So...create a *new* card incorporating a digital element of some kind, even if it's just a computer-printed greeting. Digital Tuesday -- is make a card/project using at least one digital image and include something that sparkles or shines. Thanks for looking and hope ya like! Here's my New Release reveal!!! Did ya get it right???? Hope you remembered to guess both images!!!!!! It's Eris is a cup of cocoa and Bear in a stocking!! I made an accordion folded card box organizer!!! Hope ya like and we hope to see you at the next New Release party in Jan!!! Swappin Scraps Group, events & new friends! tips & tricks, a weekly freebie and more! Below is a card I made for a few challenges I ran across! Please be sure to check their blogs out and participate in their great challenges!!! Lots of great prizes being offered! 2RedBananas -- Project that makes you feel warm! When I look at this image of Toga, it reminds me of Christmas Eve, getting the cookies ready for Santa, sitting by the fire and then snuggling up in the bed and dreaming of all the presents that I wanted to see under the tree!! Check out the awesome free image that Sew Many Cards is offering this week!!!! Don't miss your chance at getting it! Be sure to sign up for the newsletter so you don't miss any freebies and events!!! Don't forget our New Release Sneak Peeks and Blog Hop going on. Read the post below for more details and Blog Candy!!!! Sign up for the newsletter in my left sidebar!! 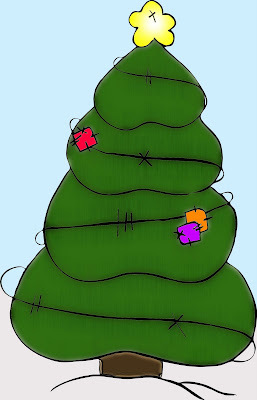 This week over at Tellen's Place, the challenge is to use Red and Green! So this is what I came up with!! Terry is also offering a freebie that you can use! So be sure to check it out and all the wonderful candy and prizes that she's offering!!! I'm also submitting this project to the following Challenges!! Check them out! Here's another Christmas ornament I made today. This tutorial I found on Deannes blog. This one was really fun to make as well. Before I'm done, I'll have an all handmade Christmas tree..lol well except for the tree! Today over at Sassy Studio Designs, they shared a really cute tutorial for making Christmas ornaments. Well I figured I'd give it a go. It's definitely not as cute as their project, but I think it turned out alright for my first one. It was fun to make, and through making this one, I see things I would do differently on the next ones I make. Hope ya like and thanks for looking! Phew!! It's been a long weekend! I think I'm slowly catching back up with my crafty stuff!! For some reason, the family thought they were supposed to have a huge dinner cooked for them, so I had to move some things to the back burner..so to say! I hope everyone had a wonderful Thanksgiving and enjoyed their time with their friends and family!!! So has everyone signed up for the Sew Many Cards Newsletter?!?!?!! WHAT!?!?! There's someone who hasn't?? Well then you need to direct them straight to this blog and tell them to sign up!! You can find the sign up link to the left in my side bar! Or you can direct them to the Sew Many Cards site!! Once you sign up, you'll begin receiving all sorts of important information with challenges, special events and most importantly...YOUR FREEBIE and a SPECIAL DISCOUNT CODE to use in the Sew Many Cards Shop!! SEW MANY CARDS PARTY RELEASE SPOT on our NING Community site for all the upcoming details!!!! Hope to see everyone joining in and having fun with us!!! Here's the freebie for this week....the Christmas Cactus!! So if you have friends and family that live around the desert, you definitely want to sign up for the newsletter, so you can get your freebie!!! I made a stair step card for this one. Thought my Arizona friends, Gecko and Rattlesnake, fit right at home with the Christmas Cactus! I've also entered my card in the following challenges! Be sure to take a look! Welcome to this weeks challenge at Sew Many Cards!! 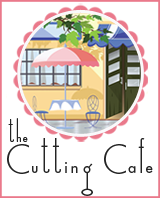 We would love for you to join us in welcoming The Cutting Cafe' to Sew Many Cards. Regina Easter has graciously signed on to sponsor Angelas' awesome company!! We'll be seeing Regina and The Cutting Cafe' sponsoring one of our challenges every other month!!!! Between our unbelievable images here at Sew Many Cards and Reginas' awesome files and stamps, you couldn't have asked for a greater combination. Please read all about Regina and The Cutting Cafe' below!!! We hope that you'll join us in this weeks challenge! Hello my name is Regina Easter. I have 4 wonderful children and an awesome supportive husband. I have for as long as I can remember loved all the aspects of creating things with paper and drawing. So it was only fitting that I decided to open up The Cutting Cafe' and I am loving every bit of this new venture.The Cutting Cafe' offers affordable Printable Stamps and Cutting Files. The Cutting Files which are basically just like templates are files that you Print out using your home printer, Cut, Assemble and then Embellish.....Very Easy.....The Cutting Files also come in the format where you can cut out the files using some of the latest Machine Cutters like the Pazzles Inspiration, Bosskut Gazelle and Cricut (with Scal software). The Printable Stamps are just that, images that are sent to you through email that you print out using your home printer. After the images are printed out, you can just color them in like you would any other stamped imaged...One great thing about the Printable Stamps and Cutting Files is that you no longer have to worry about finding space to store all of your stamps....You can keep them all in a folder in your computer and use over and over again. This week our Design Team had to make a Christmas themed project or card using a Sew Many Cards image and a file or image from The Cutting Cafe'. We'll be using images from The Cutting Cafe' sets ALL ABOUT CHRISTMAS and BULBS FOR THE HOLIDAY. We're asking for all of you to make any Christmas themed project or card using a Sew Many Cards image and we would love to see you use an image or file from The Cutting Cafe'. Please use Mr. Linky to submit your challenge entry. If any problems, feel free to email me, JERI at jerisplace@cox.net and I'd be happy to take your entry that way. DEADLINE FOR ALL SUBMISSIONS IS NOVEMBER 30th at MIDNIGHT!!! So don't wait....get those tools out and start working!!!! Can't wait to see what you come up with!!!! THE WINNER WILL RECEIVE ANY THREE(3) SETS FROM The Cutting Cafe'!! Yessss you heard me right!!!! ANY THREE SETS OFF The Cutting Cafe' site that you would like!!!!! Here is my project that I came up with for this weeks challenge!!! Hope you like and thanks for looking!! Don't forget to check out our Design Teams awesome blogs for this weeks creation and much more!! Here's a little card I made for someone that I feel deserves it!! She's had a rough few weeks and wanted her to know that she was being thought of!! It's an extra little surprise for her, as it's an image that she 'doodled'. I hope that I done it justice!! Hope ya like and thanks for looking!!!! Today Robyn's Fetish launches their new weekly challenge on their challenge blog! The challenge this week is a Style Challenge – to make a card/paper crafts project that in either a shabby chic or vintage style or feel to it. If you would like to take part in the challenge you can find all the details on the challenge blog. WOW!! It took long enough to get here!!! BUT ITS FINALLY HERE!!! NEW MOON!!!!!!!!! I however won't get to see it until Sunday, so no one telling me what happens...ya hear me!! If you've come here from Leigh Ann you're on the right track!! 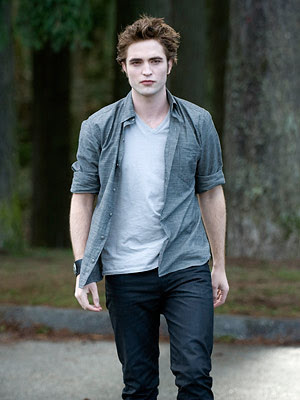 Here's my contribution to New Moon....well Twilight since I don't get to see New Moon until Sunday...but this is what I envision when I think of Edward! lol and a few other things but we won't go into that here!!! This is also being submitted in the DIGI-KITTY Hybrid Stamp challenge. Continue on your journey through the New Moon blog hop!!! Next you will be visiting Juanita!! Here's the blog list just incase you get lost along the way!!!!! Ok…What are you waiting for??? Let’s get this party started!! Check out the Freebie Friday that Angela is offering this week. We would love to see you use it in our challenge this week! Be sure to check us out over at our NING Community - Sew Many Cards! New things are happening everyday and we would love for you to be a part of it!!! 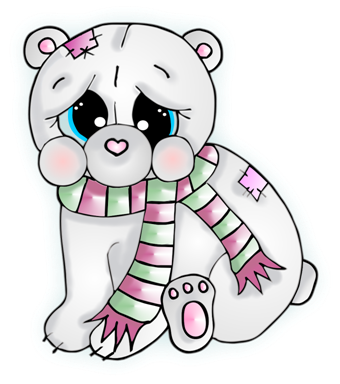 This weeks freebie is a cute little polar bear!! Hurry over to my left sidebar and sign up for the SEW MANY CARDS NEWSLETTER so you won't miss out on this cute little guy!!! The freebies will now be sent out each week in the newsletters, so don't waste anytime...get over there and sign up!!!!! Get it before its gone!!!!! I would love to see what you do with it!! !